Here's an ident I submitted using the Future City pack for a motion graphics competition in Australia (nodefest.com.au). If you like it I'd appreciate your vote! Hey guys! I use hitfilm (3 pro) and after i import the models none of the textures get loaded on to the model. Can any one help me?? Thanks. can we have it as opj files . . . ? So, what are the legal issues with this stuff? Can I use it in a commercial product? Does this work on Mac? Cause I can't seem to install it. Pleas help. Thank you verry much! Video Copilot saving my life in all the time!! This is just an early preview (very raw stuff) on wath i am working at the moment. We all know it can be challenging creating and rendering huge 3D cities with the amount of detail we need for that shoot. I know there are already some solutions for this types of situations but, what usually happens is, that you always ended up eating all the juice from your graphics card processor memory, and had to finish up the scenes with parallax background jpeg images faking the rest of the city. Imagine the following: we have a helicopter flying over a city, and we need many different angles for that shot. ( this is very difficult to do with a hand full of 3D buildings and a fake jpeg parallax image right? With these kits you can extend you 3D set considerably large,I MEAN REALLY HUGE and render that full 3D shot right inside after effects. These kits would allow you to make and experiment different configurations and layouts ex: day and night, animated or still, and render them lightning fast. If the element 3D community gives my finical work and ideas a positive feedback ill continue to work on these, improve them and make full time project out of it. So ill be right here expecting your feedback and suggestions! Lets see if this has some demand and maybe it can turn out to be an asset that will help many! do I re-texture these buildings in maya? isn't that bit complicated because it won't load the models with textures on it? I tried to recreate it by dragging one down to the bottom of the later then stretching the layer and moving it up. What did you do for the red coming out of the middle? Is it a flare? Hey Andrew, I love this pack!! but could you do a short tutorial showing how we could use these models in Cinema4D? Awesome ! Thank you to all the contributors and the VideoCopilot team ! I have alreday great results. After effect of the proposed system to work with? I want to get your help, please, I want to do is launch rocket flight out of the fire, but do not true. Any one has this city in a plan in After Effects ? Andrew, These packs are all great. Will you ever be releasing a "medieval fantasy" pack? With medieval(ish) houses, castles, buildings, etc? I would purchase this with $$$ in 10 seconds. You have some cool fantasy tutorials on here, so I thought I would ask...! I wish there was a tutorial for beginners like me as the building don't look as cool as they are in the image. So how can we create such a scene?! This was a great idea. I wonder if the next thing you might want to crowd source is the SciFi AME! People could donate elements, SFX, presets, tutorials. Might be fun and not require everyone to know how do 3D models! Just a thought! Thanks for this, here's something I did using this great free pack.. Many of which are in obj format , so can drop right into element. Thanks to everyone who contributed a model to the city.. Thank's a bunch to the Video copilot team for putting this together and to all the people who contributed with models! thanks ! you're the man ! Thanks a million for this pack and keep 'em coming! Just ordered the full-blown Mac Pro- 12 cores,64G RAM,PCIe Flash storage, Thunderbolt and Dual AMD FirePro D700 GPUs with 6GB of GDDR5 VRAM each. Can't wait to unleash it on AE and E3D when I finally get it next month. 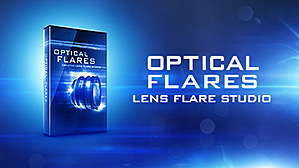 Element, Optical Flares and all the groovy VC packs have become an essential part of my daily Slate science reports and other projects. Happy Dang New Year all! Hey, Andrew, I love all your work, especially your "rigged aircraft", but, just an idea, isn't more usefull, for the "every day vfx labor", buses, bikes and cars(not just the wheels), even a rigged exploding car will be great(an animated OBJ), like your tutorials. Or differents model, one brand new, another one rust, or broken, I think that will be a great package, also animate OBJ with broken glass or blood like it was an "Action 3"
I think you change the we see the After Effects, and I'll love planes, and Sci Fi, but maybe, not always we have the opportunity to use planes or a futuristic, and incredible free package, i'm tenting to buy you all the staff, always trying to convincing my bosses, but a police car rigged, with the licght an an animated texture with bullet holes, and them explodin....aaaaaah, I like how it's sounds. HELL YEAHHHH!!!!!! VC is AweSOME !! Andrew, I really need you're help!!!! I'm trying to do a world pass in AE. I'm doing it on a city made with the future city pack and its not working at all!! vaya que es impresionante tu pagina te felicito me a sido de mucha ayuda espero que sigas mejorando... GRACIAS. Hey It doesn't have an installer, I'm not really a tech guy so where should I place these files in order for after effect to find them? Unzip the folder and place it at the Documents/VideoCopilot/Models folder. Merci beaucoup a tous et bonne année! The download link doesn't work? This is offline or something, can't download the pack. Should it be working? OK, it's working now, sorry! Wow, woot, woot! Bring it on! Im new at AE and pls guys where i can get tutorials for begineers. Eager to learn the above stuff. and would love to have you check out my page on Indiegogo. I have some great perks for you guys if you pledge.If you need more info about the film you can go to http://www.imdb.com/title/tt3383196/ to see info on me, the actors and general info about the film. My indiegogo Campaign is active until january 14th. Everything in this movie is based off Andrew's tutorials you'll also see i used the jet pack and optical flares in the teaser. Great pack, really love it, but is there a quick way to install the models in E3D other than importing and texturing then saving as a model preset one by one? Thanks again for all the great tutorials and freebies! That stranges Nick cause I downloaded it, put the entire map in the VC folders (My Models) and E3D showed all models completely textured. Maybe your map isn't complete or the file corrupt. This is completely awesome as always! An amazing try out with this project. It all comes together. I sincerely wish I could have contributed but I lack experience in real 3D modelling. This is awesome! Thanks for all your input to all VC Junkies out there. Someone here suggested to create an Element Library. Wouldn't that be great to have 3D models (animated, rigged etc.) in the cloud, created by the community, accessible with your VC account?? Upload it to VC, VC optimizes it for the use in E3D where we all pay a couple of bucks for per pack or download. Greetings from Guadalajara Jalisco, Mexico ... Merry Christmas and Happy New Year to all in "Video Copilot" ... And congratulations to the creators of "Future City Pack". Thanks for all resources provided! Thanks a lot for this beautiful gift! And Merry Christmas to all! Thank you to the Artist Community for freely giving. This is a kickass product. Thank you VC for providing the platform to use these models. I was wondering if in the future you have plans to setup an exchange library for E3D? 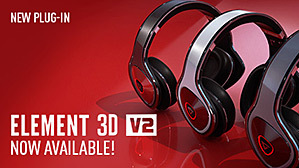 Element 3D has rocked the post world. This plugin is probably the best since Trapcode came up with Particular. Fantastic!! Many Thanks to all who contributed to this!! I just have one question : I can't find files like the Metropolitan skies for the back-grounds. Again, thank you ! I'm not a 3D artist so this pack is a wonderful idea ! Great pack, I do own Element 3d but I also want to be able to use these cool buildings in my university projects. They won't let me use Element on those projects so I have to use them natively in 3ds max. I was wondering when I import the obj files, there is no mtl files only jpegs, I'm having trouble re-linking the files to the models. Any help would be much appreciated. an example on one of the buildings would be helpful thanks. Great pack thanks everyone who contributed! Definitely want to thank all you guys listed and unlisted for you hard work the pack looks amazing. Thank You to everyone that contributed their time and models for this cool project. Including Andrew Kramer and the crew working behind the scenes to refine them. Happy Holidays and Merry Christmas to all. This is 800MB of Awesomeness! Thanks Andrew for this. Looks like the new design for the new 2028 Mac Pro "Barrel" ?.?.? Thanks to VCP and all contributors!! Awesome. Thank you. we love element 3D pack. Awesome! a big thanks to all the contributors and Andrew&team who spent times creating and optimizing with e3d! The Normals seem messed up on the Future Tower 04 column at the top of the building. I'm not sure if any one else has commented on this, I don't have time to read through all the comments. Could you please take a look at this building again and make sure the Normals are correct on the top column? Only one of them seems to be messed up. Thanks. In fact it's the whole side of that tower, if you move around the tower things disappear on that one side suggesting there is an issue. Hey Andrew, can you make a tutorial in which you teach us how to create complex models like this? Thanks all who work in thus Projekt! My skills in 3D Programmes are to Bad to Build such things! What do You think about it.? Sorry Andrew New Work for you! Thanks too people who contributed to this. And thanks Andrew & team for coming up with this amazing idea. Does Element 3D works with Intel graphics? I hope the Video Copilot team keeps encouraging and organizing more of these community packs soon. How about a Community pack that features Military Buildings! Makes sense right... After all where are we going to land the models from the upcoming chopper pack? Thank you, your staff and the community for making this happen. Can't wait to check it out. Thank you Andrew! This come just in time for my upcoming Sci-Fi! Happy Holidays to all the contributors to this pack and to you and family and staff of VC! Wow, these are great! Awesome job to all who contributed! And thanks AK and your team for all the work that went into this freebie! I'm so thankful of everyone who worked on this whole pack and VideoCopilot who planned this, it was a great idea! :D This is awesome! Hey Guys, I just bought Element 3D (Jet Strike and Metro) when you had it on sale. After I unzip these, how do I install this? and I mean install the future city pack..
Once downloaded, unzip the folder to Documents/VideoCopilot/Models and then they can be accessed through the Element Model Browser. Hey Dustin! Thanks man - I saw that I had to left click the "Download Future City Pack and Information" tab - I originally had right clicked and "Saved As"
i want to thanks to all those who worked on these!this is amazing! Andrew,don't you wanna make any video blog about this? please........! Great stuff Andrew. What ever happened to twitch for cs6? How do you work around not having it or do you have a computer with cs3 on it just for that occasion? Thanks for this great Christmaspresent. I'm looking forward for the new tutorials. Another idea would be an apocolypse pack or a pack inspired by tolkiens hobbit. Thanks so much to everyone who worked on these! They look amazing! Your all champions! Special thanks to Andrew and the Video Copilot for all the hard work to put this all together. I love your site, your products and everything you guys do. I have to leave another comment. I just unpacked the package and I'm loading the models into E3D. These are really, really, great. I can not express my gratitude enough. Thank you contributing 3D artists and VC Team. Spectacular! Thanks to everyone who contributed! Merry Christmas! Hi, under what license are these models? Your other 3d models have some restrictions regarding selling renders that include the models, which make them very uninteresting. What about this pack that is created by the community? the effect in the center of the picture looks exactly like your plug-in "heat distortion". thank you for this cool models. Thank you very much Andrew!!! I´m already looking forward to the tutorial. Thanks to Andrew and the community. Look forward to trying these out when I have some free time! Just one word: Thank you! ...actually two... merry christmas! Is this package totally free for commercial use? Thanks in advance for an official reply. Hej everyone, thank you for your contribution and hard work. I can't wait to see these buildings on small and large screens in the coming months. Skål. Just awesome,then we can have more fun stuffs to play with! Finally, it's here... :D Many thanks to all those who worked on it and of course VC team... Now curious about new Flight School Tutorials... Any chance of new tutorials in 2013??? I really hope so too! I hope for another fume fx tutorial, with building collapsing using ray-fire. A Big Merry Christmas to you all pushing-limits-folks out there. Also want to thank Matt Kramer again for helping me with some tech-support recently. Thanks guys. this package really prize for 2014 year. Merry Christmas to everyone. Yes an apocalypse pack would be very cool. Thank you for the FUTURE CITY PACK. Great job by the contributors and the team that put this together. Merry Christmas to everyone. Im sure this is probably somewhere else in your blog or comments somewhere but, do you think you could show us how to keep these organized. I have the zip and opened it but im not sure where to go from there. Im fairly new at this. I love you Andrew Kramer!!!!!!!!!! How weird, I was just thinking about this today and when it was going to come out? Video Copilot saved my life with their cool products, thanks a lot! Nice work on the Music clip! Thank you VCP team!! Legends! Marry Christmas and happy holidays to all! Well done, but for your next project try to get more creative with changing the Action Essentials look. I can tell the fire was just dropped ontop of the sky scrapers, and any one else who knows action essentials will see the same thing. It was more of a detraction from what was going on a times than a good looking effect. Otherwise the fireballs and what not looked good and fit well. Keep it up . Great job, are you going to post the making of the video? I loved the AE camera movements. This is a great video with good vfx and colour blending settings. Thanks so much for organizing this. Was computer-less at the time, so couldn't contribute. Would love a round 2 of this, but would also love to suggest the next event to be a Post Apocalypse pack. Destroyed buildings would be amazing. Or a Sci Fi vehicles pack. I am just getting into Element 3D, but it seems it would be possible to make custom buildings models using Element. Am I crazy for thinking this? Would make a great tutorial. Or at least a quick tutorial on how to make sure whatever we build is to the correct specs. Also, A video about a VFX workflow for indie/no-budget folks would be tremendously helpful to us all. Thanks again so much for this. It will really add to my genre film-making efforts. Like they said in Super 8, "PRODUCTION VALUE!!!!!!" Great job team and contributors! Thank you everyone who contributed! I am going to live on the outskirts of a future city someday, so this will get me ready. Thanks and Merry Christmas, Happy Holidays! Amazing!! Thank you so much for all the hard work you guys do! I'm so excited, I may have to call out sick tomorrow to start working with these. awesome job to everyone who contributed..
Man this is super awesome! Big thanks to everyone involved in this project! Can't wait to get home!!! 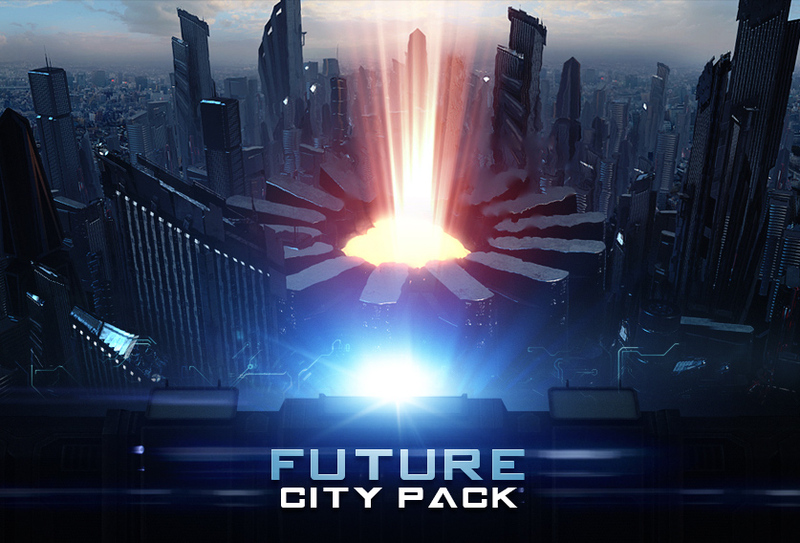 Git a bonus today at work and was going to purchase Action Flares Bundle and Twitch, and now I see that the Future City Pack is our now as well???!!! Now I really can't wait to get home!!!! oh so this is why you have been so silent these past few months xDD.. awesome as always! Andrew, you are positively the best person ever. Many, many thanks for all that you've given the community. It's here It's here It's here It's here It's here It's here!!!! YESSSS!! I've been waiting for this! Thank you! This was a Awesome project Happy to contribute look forward to more in the future... get it.. Never mind. Awesome! Great to finally see the finished product in all its glory. Thanks VC and everyone who contributed. I would like to give a big thanks to all who provided this valuable collection of works in 3d, also thanks to its creators, to Andrew Kramer and Video Copilot Group for making this possible and allow more and more people can get into this spectacular world of visual effects. To all of you a whirlwind of good times and beautiful creations. Congratulations and Kramerry Christmas!! Set extension is really fast, easy and powerful with this stuffs! I can't even imagine how much you guys can go further! Maybe a plugin named "Just think and I'll make that 3D myself!" soon!? Actually, if you can use a 3D editing package, you can easelly rig it in E3D! Import your baked 3D Object, texture it and set as a preset model, no more to it actually! what is the 3D editing package? How will we edit it? Smashin' ma head to the wall! This is truly awesome! the atlas.1 ambient occlusion JPG isn't there... Any way I could get that? You are correct, it is missing! It should be included in the download now. Thanks for spotting that! Wow, that is a great job! Thank you all contributors and VideoCopilot for making this a reallity, I was working with some free models found on the web, but this is gonna be a real timesaver for my upcoming short! Thanks again guys and have a nice holyday season! Thanks to all who contributed, and thanks to Kramer and team for donating their time to optimize for E3D! Y'all are awesome! Thanks all! And merry Christmas! Thanks Andrew for this free model pack. It's always fun with videocopilot.net and your Element 3D. I love the application and am looking forward over again on new tips and tricks. Will there be any tutorials for this package? Maybe how to combine Metropolitan and this package, or how to make a good looking futuristic city sky-line? Anyway thanks to all that have worked with this package! OOOOOOH THANKS ANDREW, THERE IS MY MODEL (israel soteldo) I'M CRYING!!!! Thanks very much all contributors for this christmas gift. still waiting for the announcement of the chopper pac ..
Just in time for Christmas haha. Thanks guys! To be honest, not that many more. A few were too similar or not quite finished enough with textures that we tried to limit what we released to keep the download small. Still 800MBs though! thank you for this christmas gift !! Most awesome. This will be an enjoyable christmas toy! :D Thanks for the hard work, guys! Great addition to the Metropolitan pack I got! For sure! Metropolitan has some killer roof details and textures but the future buildings are perfect for creating sci-fi worlds! Our product Metropolitan also includes 3D formats for C4D, Max and FBX which saves a ton of time. The future city packe pack is only optimized for E3D but the OBJ files and textures can be recreated to use in most 3D programs as well. I'm so thankful for the VC community. There's so many great resources available here. That is really awesome. Thanks for providing this pack for us! Good work everyone. special thanks to all who contributed! Wow! Happy winter solstice! Thank you so much video copilot community of artists. This is very generous and I appreciate your efforts. Thank you everyone who created this, and thanks VCP for allowing this to happen. What a great creative community we have. Amazing work! Thanks for all resources provided! So, Element is a great value but it really slogs down in AE. I may have something configured wrong but things are too slow to be practical. I hope to be able to buy the new Mac Pro soon. For now, that is my fix unless someone has an idea on settings. The weird thing is everything is fast in Element but as soon as I go to AE the 3D is very slow. Email support with some info and let's check it out.